Are you not losing weight on Weight Watchers Freestyle? I hear you! Weight Watchers Freestyle was implemented back in December and it replaced a very popular Smart Points program. Members are now getting a grip on how they are faring on the new program. My post New Weight Watchers Freestyle Review: Hate or Love? has over 400 comments and I have received countless messages in my inbox about Freestyle. First, if you are on any program and not losing weight – your experience is very frustrating. I know that Weight Watchers Freestyle takes dedication, cooking, and time. If the scale is staying the same or even going up (yikes!) – I feel for you as do many of Snack Girl readers. We all want to move the numbers and/or get healthy on this website. Weight Watchers isn’t going to tell you that the program doesn’t work for you because then they would have to give you your money back. They are going to tell you that you aren’t working the program. But, it is very possible that this is not the program for you. 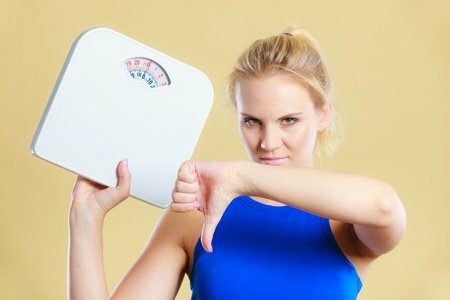 The best diet is the one that works for you and if you aren’t losing weight on Freestyle (and you gave it a couple of months) – this probably isn't the diet for you. I hate the plan so much I quit. I was on a roll last year - had lost almost 35lbs and then they changed the program. I am not a big meat eater and am so sick of eggs I could scream. I find the plan way to restrictive and it's a lie that you can eat out and have anything you want. You can eat out if you starve yourself all day and then have two bites of anything high calorie as your "eating out"
I’m in the “love it” camp. I’m never hungry, usually have rollovers, and usually save up all my weeklies for a nice big restaurant meal. I tried Weight Watchers years ago and was constantly hungry, hated the meetings with a passion, was bored with what I could eat, and I quit after losing 10 lbs. Now I’ve lost almost 30 lbs since February. Love this diet. Their experiences are so different! I attribute their success on the program to Kelley and Julie being distinct people. We all have our preferences, metabolisms, and roadblocks. Some people really have trouble with zero point foods as they overeat them - and others find the zero point foods easier. I think that if you aren’t losing weight on Weight Watchers Freestyle after 3 months – it is time to take what you have learned and move on to a new strategy. Some people have been going back to Smart Points and some have been using My Fitness Pal or Lose it!. There is an iTrackBites App for those who want to continue with Smart Points. I think if Weight Watchers was smart – they would allow people to continue with the program that was working for them. This way, they could keep those members and include options for different people. Yes, Freestyle, might be the best diet from an empirical standpoint but we are not all numbers! Are you not losing weight on Weight Watchers Freestyle? Please share your experiences in the comment section. I'm in the middle -- I'm a member for the accountability factor. I realize that even though certain items are point "free," I still have to manage how much I eat of those items. For example, corn. Corn is a starch and needs to be tracked as such, particularly if you are concerned about blood sugar. Fruit, while good for you, shouldn't be eaten in huge quantities. I have a feeling they will be modifying the plan again. I've lost weight but that's because I'm technically following the old plan without having to count everything I eat. Remember, it's still about the calories. If you consume too much of the free stuff you will max out on calories and stop losing weight or start gaining. I have to admit I lost weight slowly but regularly before they changed it to freestyle. Now I go up and down all week and usually lose about 1/2 - 1 pound every couple weeks if I’m lucky. I’ve returned to WW two weeks ago because I added 14 pounds since last September. I was very wary and skeptical about Freestyle because I’m all about the points. Anyway, while there are a large number of “zero” point foods, our leader stressed they aren’t “free”. I’m not gonna lie—FS is challenging but I find that incorporating points and portion control and planning help in the journey. In two weeks I’ve gone down 5 pounds and I realize the last 9 pounds will come off slowly, but I’m making better choices. WW is not a diet...you shouldn't be using that dreaded word. Losing weight is a lifestyle - its eating health- ier. Zero point foods still have calories. WW made those foods zero points for you to build your meals around them. Its where you start to plan your entree or meal. Let's use some common sense. Any plan will work IF you eat LESS calories. WW did not remove the suggested portion serving size in their tracker. The chicken breasts that I buy are 8 - 9 oz cooked. I use the WW suggested serving size which is supplied by the USDA. That serving size is 3 oz.If I were to eat the whole breast...its 2 - 3 servings! I cut the cooked chicken in half...if its 3.5 oz that's what I eat. Maybe your portions are just too big? Snack Girl has written about the hidden sugars in food...ie white bread...maybe your food choices are the best or smartest when it comes to losing weight. Losing weight and keeping it off is a lifestyle change. If you go back to your old eating habits..the weight will come back on. I'm 64 yrs young and in 17 weeks, I have lost 36.4 lbs! Laurie, Freestyle is a DIET! It is not a long term sustainable lifestyle. It couldn't be, considering you are given a list of foods to eat. It is all about Diet and Exercise. This balance must be in place to lose/maintain weight. I'll admit I lost my initial 45 lbs 10 years ago with weight watchers. And have maintained eversince. But it is a daily allegiance to eat heatlthier and my gift to myself and my family to keep my health a priority. Weight watchers instituting "free" zero point foods is definitely not accurate nor realistic from a nutrition standpoint. Eating healthier and cleaner is a personal decision. I have to agree with Laurie - WW is a great program - I've been a member for over 10 years and have lost 50 pounds - working on that last 10 - but I am a Lifetime member so it helps a lot to not have to pay for everything (meetings are free, e-tools are free); it's motivational to get to 'free' status and helps keep me on track. I do have to say I'm an overeater and I did get into trouble with the 'free' in Freestyle; so I pretty much went back to what I know and that's counting everything. I know from many years of experience that a portion of eggs is ONE EGG; not 6, chicken breasts or any meat for that matter - about the size of a deck of cards - 3-4 ounces. Still focusing on filling my plate (and my stomach) with plenty of veggies, fresh fruit, lean meats, low or no-fat dairy (fat free greek yogurt, but only in small quantaties; ie. 1 c. of FF milk or 1/2 c. of FF greek yogurt) It's the same program and it's my lifestyle - so I'm making the best of Freestyle and hopefully it won't steer me wrong - I still have to exercise and drink plenty of water to maintain or hopefully lose that next 10 pounds. I hope others can find their way to a better lifestyle - weight management is a lifelong responsibility - not a quick fix. Anyone who is dealing with a weight gain - needs to do just that - deal with it - every day - for the rest of their lives. You're never done managing your weight. Thanks for sharing this today. Timely as always. I love the WW FS program but you do have to follow the program. I have lost 13 pounds since the middle of February and have 6 more to go to get back to my goal weight. Like any other weight loss program, you have to work at it. I started WW in June 2017 and to date and have lost 75.2 lbs. I lost 50 lbs prior to the switch to Freestyle and 25 lbs on Freestyle. In my opinion both plans work. Its all about the choices you make. I still weight/measure/track everything that passes my lips. It holds me accountable. Freestyle may not work for everyone but personally I love it. I'm 53 yrs young and 7 pounds from lifetime. Have a great day everyone! I used to love Weight Watchers, but since they changed to Smart Points, it hasn't been the same. I had to go back to Points Plus, because Smart Points wasn't working for for me, then I tried Flex Points when it came out, and I started gaining again. Now I'm back on points plus, which works if you work the plan. Now, when I go to the meetings, I feel like an outsider. Everyone is talking about flex points recipes, which doesn't do me any good. Now your suggesting that we should do the plan that works for us. I ask, why are we paying to belong to Weight Watchers? The only reason I'm still a member, is I promised myself I wouldn't quit again. I think I'll have to rethink that. I love weight watchers, I lost 30 pounds 3 years ago. A few pounds came back due to me letting my guard down, not tracking and having a little too much free reign. I'm back on the program and tracking and losing those few pounds. I am on the original Smart Points program. I am a very picky eater and do not eat seafood of any kind. Ever. I can eat eggs a few times a week but that it. I do not eat beef out side of a bit of lean ground in a recipe every now and then. This takes willpower, motivation and perseverance. I know that and I accept that. It's all on me and not the program. The WW Flex is a great plan, although I gained 6 pounds when I started to follow it. Each week I am more aware of my portions, and keep at it and hopefully my perseverance will pay off. The zero points foods are basically to encourage us to make better choices and lean away from processed foods. Hoping for a weight loss on Thursday's weigh-in, if no loss will keep working on my portions. I’m loving it and eating healthier than I have ever eaten in my life. Yes Freestyle can be more work as in cooking real foods but that’s a trade I’m willing to make. I also weigh and measure all foods (just like Smart points) and I track( Just like Smart Points). Freestyle does not mean Free for All. I eat out on occasion and neve friend myself without options since I’m willing to politely request modifications if needed. Down 68.8 and feeling free! Remember no one holds a gun to your head to do Freestyle. If the old plan worked stick to it. I've been in WW since 1995 and no I do not work for them. Every time there is a change I resist. Menopause, mentalpause, stress make the reality of keeping weight off a chore sometimes. You're never cured just stick with what works for you. I promise you won't regret it. I recently returned to WW. I was at goal and gained everything back plus when going off. My problem seems to be lack of planning. With my busy life, I will grab whatever is available. I resonate with those saying it is a healthier way to eat, and this is absolutely a gift I am giving to myself. You can indeed have it all, just not all at the same time. I was totally overeating! Now I feel satisfied with what I eat and I am astounded at how little I require in order to be satisfied. I wish everyone all the best in their quest for health and balance! Freestyle didn’t work for me. I need to place point values on foods to stay accountable. Also, starchy veggies make me gain, so I have to watch the veggies, as well as fruits, too. I went back to Smartpoints before FS. I feel better now. Admittedly I haven't tried WW since my teenage years but I can relate to the eating lifestyle premise. I changes to a healthy eating lifestyle plan that works for me over five years ago. From experience I can tell you that portion size and food choices are key to losing or maintaining weight. When I overate (still following my plan) I gained, when I didn't I lost or maintained. So I agree with Snack Girl. It's important to pick a way of eating that works for you and then be conscious of what you're eating. I lost on PointPlus, didn’t lose on SmartPoints, and have lost about 25 lbs on Freestyle since rejoining 9 weeks ago. Thumbs up, Freestyle! I'm a loooong time WW'er. I've done so many of their plans. I've lost over 100lbs each time (3x!..I know embarrassing! )So am a basically a professional dieter, LOL. Anyway here's the thing with WW I think they do a lot of research BUT they missed the mark on this one. I think they are on the wrong track with the new emphasis on protein. They say protein is filling..not for everyone. I was starving. When I did more research I found out unprocessed carbs are what make you feel satisfied along fiber. So yeah the beans but everyone is so focused on the eggs and chicken/turkey at meetings and in recipes. So I looked up Vegetarian or Vegan WW recipes. The problem here is it's almost ALL zero points and you can easily eat tons of calories/points and not lose. So I continue to go to meetings for support (they are my WW family). I'm maintaining most of my 100+lb loss (I need to lose 10lbs). But I'm following my own plant based whole foods option and monitoring calories on MFP to keep me where I need to be. I really like Freestyle. When I'm working the program, it works. I do have to watch portions. I can't eat nor should I eat 6 eggs in a sitting. I don't get how people are sick of certain foods though. Change the recipe up. There are so many ways to eat chicken, fish, eggs, tofu, etc. It does take planning. I do much better when I plan. It is a lifestyle though. Not a diet. This is something I could definitely live on because I still eat pizza and I still go out to eat. You just have to track and plan for it. There is a lot of research (that is not from Weight Watchers) that talks about it's not about quanity. It's about quality. So for example. I can eat 0 point foods for breakfast, lunch, and supper. At the end of the day, I'd have 23 points. If I use those 23 points on chocolate or ice cream, am I going to lose weight? Probably not. It might not always be about how much you eat, but what you eat. Though, every person is different. I don't believe any research is a one size fits all approach.